It’s not uncommon to see celebrities frequenting the red carpet with fashionable clothes upwards of $200,000. Fortunately for the rest of us, staying up to date with the latest fashion and technology can be possible with only an average yearly salary. Despite the common myth, trends don’t have to be outrageously expensive. 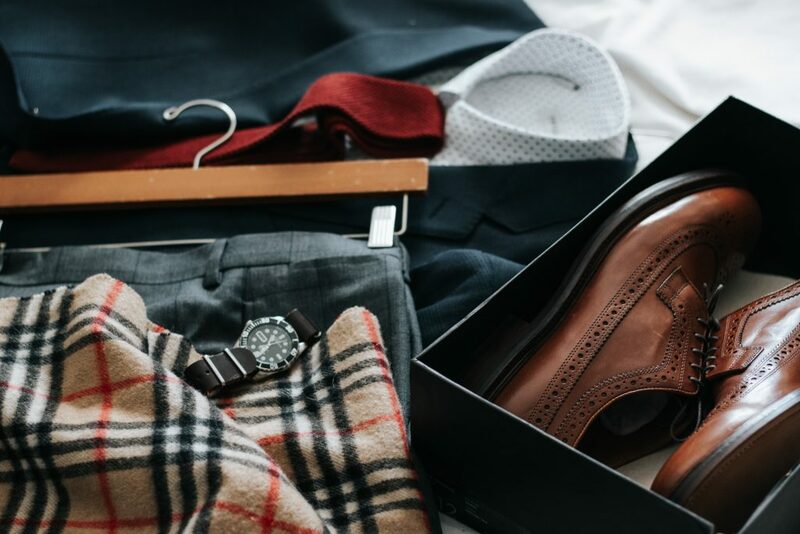 Whether you’re dressing up casually for a night out with friends or donning new styles for a formal event, knowing where to look and buy can make all the difference between making and breaking a budget. Keeping in fashion with the latest clothes can often be a costly endeavor. With styles changing so rapidly, it’s difficult to stay on budget throughout the seasons. But you can still keep your credit strong while shopping for styles that compliment you best. The important thing to keep in mind is to shop for clothes and styles with consistency and outfits that aren’t too exotic. Research and buy clothes that never go out of style or ones that are always part of a newer style like shoes, blouses, and skirts. That way you can avoid buying more clothes every other week and instead build your style around your existing wardrobe. One great piece of news is that seasonal colors, unlike certain styles, never change. Fall colors will always be red and orange, winter will always be blues, purples, and whites. Shop for fashionable shirts and pants that you can wear for each season. When summer comes around, bring out the warm colors and show off your wardrobe without needing to invest in any new clothing. Different colored tops and pants will always be in style when the season permits. And if you want to earn some money for older clothing, sell them online and earn some commission to save for newer clothes. Technology can often be one of the most frustrating areas to stay current with. Phone companies unveil new versions annually and innovative new gadgets are constantly being released. What’s trendy for one year may be old news the next. The silver lining, however, is that just because a piece of technology is out of style doesn’t mean it’s worthless. Instead of buying a new iPhone every year and keeping older ones in a drawer, resell them online to cut the costs of buying the newer version. Many phones are still worth hundreds when the next version is released. Some companies even offer upgrade plans, allowing you to upgrade your phone annually for a much cheaper price than continually buying them. When shopping for new gadgets, keep an eye out for those that focus on saving time rather than entertainment. Entertaining gadgets tend to be more short-lived and fleeting than gadgets that provide us with convenience and ease. It’s never a bad idea to invest in virtual home assistants, universal remotes, or anything that makes your life easier like a personal coffee maker or an in-home treadmill. There will always be more and more ways to entertain, but technology that serves an essential purpose in our lives never needs to be replaced as long as it’s doing its job. You don’t have to go bankrupt just to keep up to date with fashion and technology trends. If you shop smart, you can stay in style and save money. Invest in clothes that never go out of style or are common linchpins in other trends like shoes or blouses, and aim to buy technology that provides convenience and ease to your life like virtual assistants. Or opt for leasing plans on your devices, such as phones and cars, that you know you’ll want the newest model for. That way you can stay trendy and stay on a budget.